Spring is a great time for kids. It finally starts getting warm, the end of the school year is in sight and it stays light longer. That's all good but it also presents a hazard -- kids are more likely to be hit by cars on those balmy spring afternoons and evenings, according to a new study. Research presented today at the 2015 Annual Meeting of the American Academy of Orthopaedic Surgeons (AAOS) found that most child pedestrian injuries occurred while children were unsupervised, near schools and bus stops, and in the spring months during the afternoon and evening hours. "Accidents most frequently occurred when no parental supervision was present from the time of school dismissal until the early evening hours, and were most often located mid-block," said orthopaedic surgery resident and lead study author Alexa J. Karkenny, MD. "Injuries peaked during the warm months and clustered both near schools and bus stops located near schools. 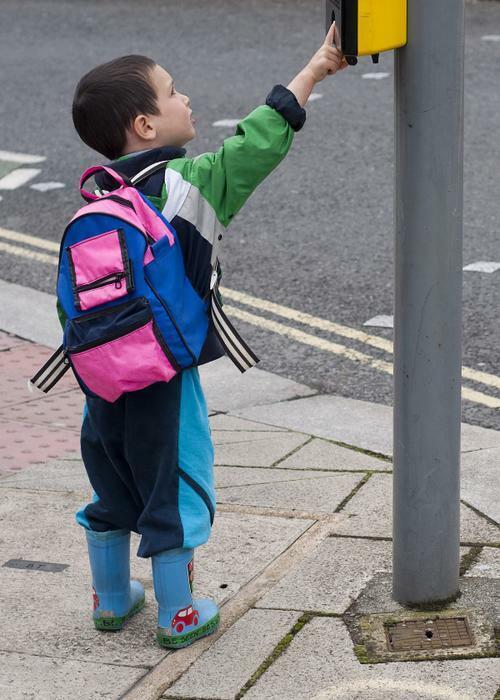 Pedestrian injuries are among the leading causes of pediatric deaths in the U.S. In 2012, the last year for which statistics are available, 557 pedestrians under age 20 were killed by motor vehicles in the U.S. and 22,000 were injured, according to the National Highway Traffic Safety Administration. Nearly three-fourths (73%) of pedestrian fatalities occur in urban settings. In this study, researchers reviewed electronic medical records of 100 child pedestrian emergency department visits at St. Christopher's Hospital for Children in Philadelphia, Pa. from January 1 to December 21, 2012. First responder narratives provided accident scene descriptions, including the individuals who were present at the time of the accident, and the type of intersection or property where the injuries occurred. Google Maps were used to identify the accident site, injury clusters and specific street locations. Most injuries occurred around the time of school dismissal and during evening hours: 29% of injuries occurred between 2 and 5 p.m., and 42% between 5 and 9 p.m.The greatest number of injuries occurred during the month of June (13%) followed by the other spring months. Of the 44 cases with enough accident scene information to perform a detailed analysis, 70% (31) of the children were injured mid-block, and 18% (eight) at a crosswalk. Nine percent (five) were struck on private property, a sidewalk or in a parking lot. Injury clusters were identified near schools and public bus stops used by students for transportation to and from school.